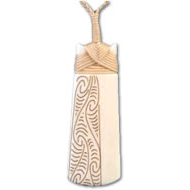 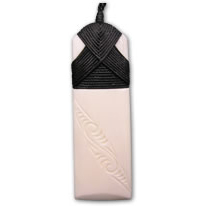 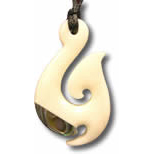 Bone pendants are very popular as New Zealand gifts and are available in many different shapes and sizes. 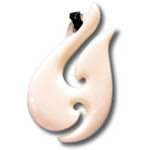 The different shapes or symbols of these bone pendants all have traditional Maori meanings. 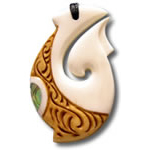 The Fish Hook is symbolic of the Maori legend maui who fished New Zealand out of the water. 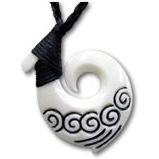 It represents good luck while traveling over water and is given to people who are strong and determined and people who are in good health. 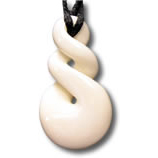 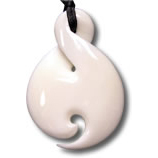 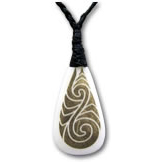 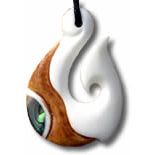 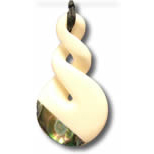 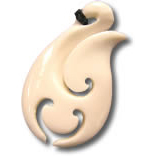 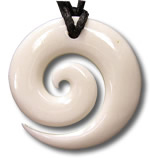 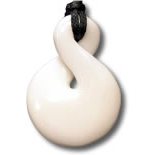 The Koru bone pendants represent the beginning of new life. 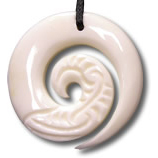 Often the closed Koru (circle) means the ever continuing circle of everlasting life. 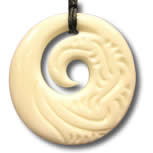 The Koru depicts new beginnings. 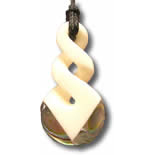 The Twist is a joining together of two lives, or two lives becoming one. 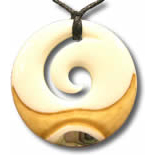 Many of these Bone Pendants have Paua shell inlaid into the bone and some have tea stain to add vibrant colour.